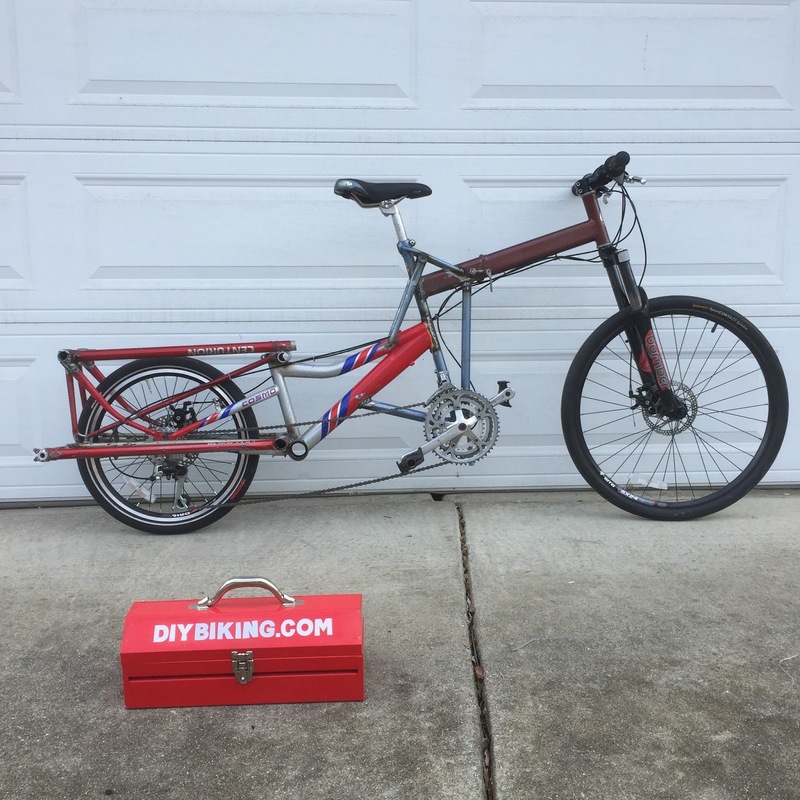 When I moved from Connecticut to California last May, I had to leave my homemade cargo bike - the one and only Bikeducken - behind. Instead of throwing it away like I planned the founder of Stamford Makerspace Rippowam Labs said he wanted it so I gave it to him (he actually was photographed by the Stamford Advocate during Bike to Work Week last year standing with it). 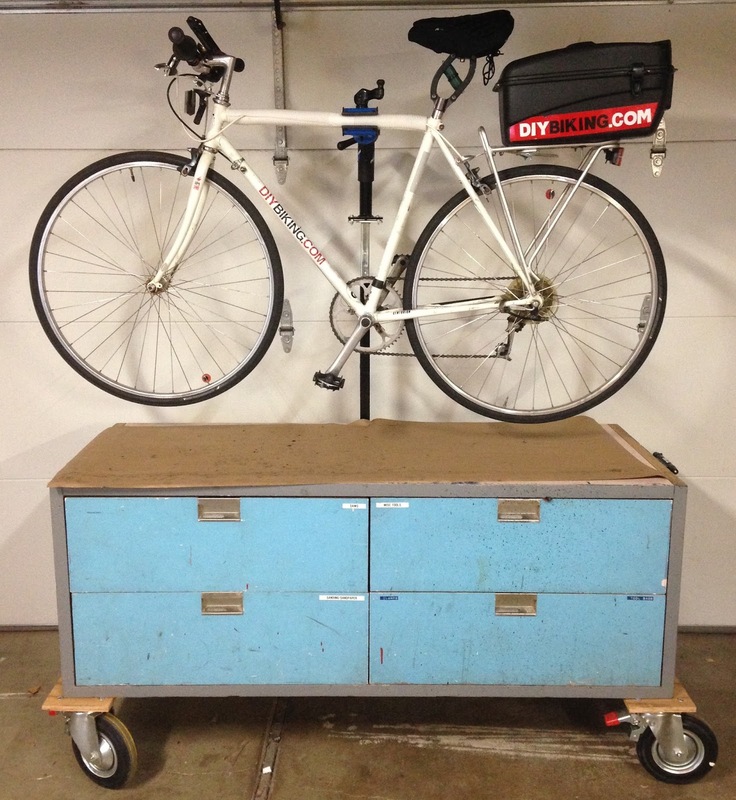 I reasoned I’d build a new cargo bike when I got settled in California. At the time I said this, my Stamford house was being sold and I was about to move in to my wife’s one-bedroom corporate housing complex…and most of my bikes and all of my welding equipment was going into storage. We faced down the dystopian sticker-shock horror that is the Silicon Valley housing market and somehow ended up getting a place with a garage I could turn into a new workshop. However, before the move, I threw away or gave piles of bike parts to the Bridgeport Bike Co-Op and the Trifigura Work & Learn Business Center at Domus in Stamford. So while I had my new shop up and running rather quickly I needed to gather materials. Unlike Bikeducken I had to spend money - about $150 total - on materials. 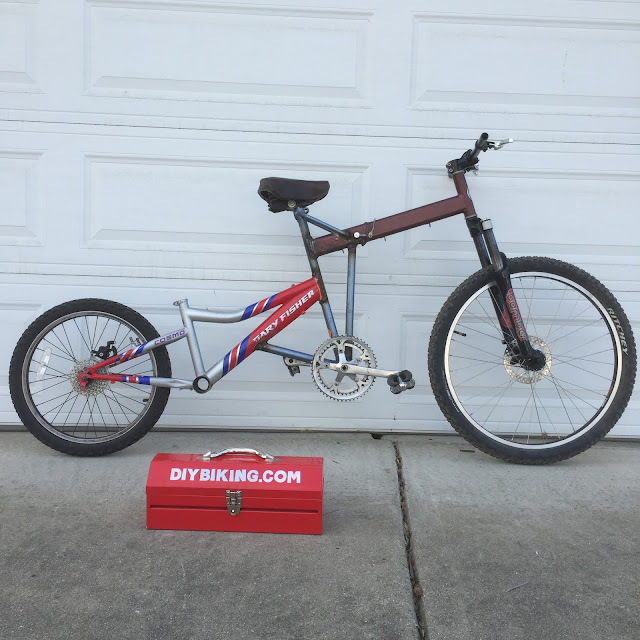 The biggest expenses were a 20” wheel with disc brake mounts from Good Karma Bikes, as well as a used kid’s Gary Fisher mountain bike with 20” wheels. At it happened, I needed to widen the back fork to ensure the new wheel would fit, so I held it open for days with a car jack I found on the side of the road on a bike ride. The day before the North American Handmade Bicycle Show began, I took an inventory of what I had and began making 3-D sketches (with the aid of Gear Ties, which held everything in place) to figure out what I wanted to make. 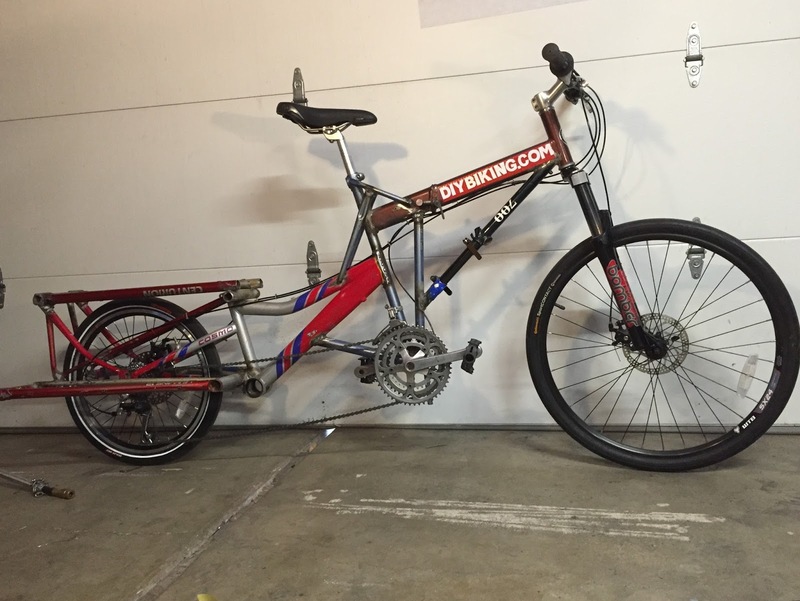 I was stumped for a while on what the front half of the bike should be but then I remembered I had a junked Sears & Roebuck folding bike that I picked up from Good Karma Bikes last summer - this is what it looked like at the time and it spent the last six months sitting in a storage shed. I unfortunately made a mistake early on: I inadvertently bent the part of the frame the bottom bracket screws into beyond repair, so I ended up using an old Univega frame instead of the colorful red, white and blue frame pictured. The build wasn’t without other challenges as well - ornery angle grinders, for one. But, as I Instagrammed about a couple weeks back: In the time it would have taken me to get from San Jose to Sacramento and back I had a working model. It supported my weight but I still wasn’t entirely sure the folding mechanism from the Sears & Roebuck bike would be strong enough for what was going to be a big cargo bike. The basic framework done, I was left with scrounging materials for the cargo deck of the bike. 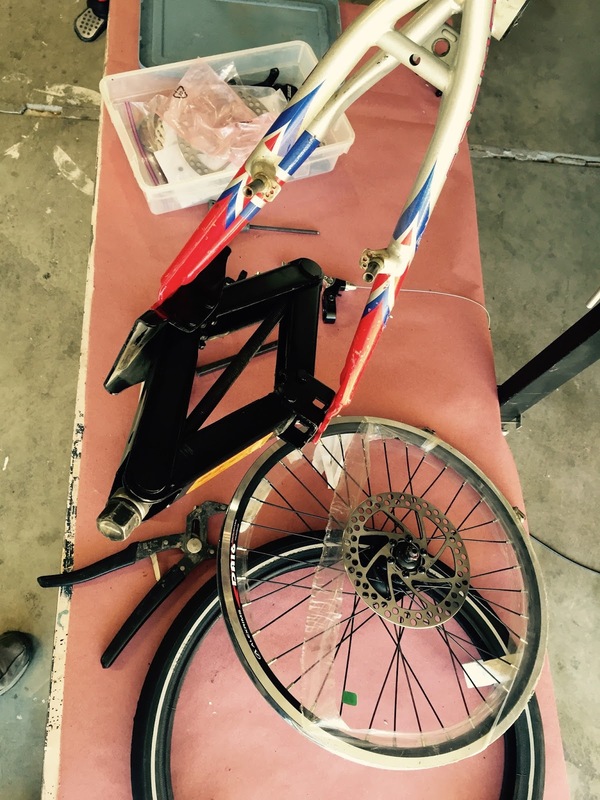 Longtime readers recall that this past autumn I built my very first fixed gear bike from a massive Centurion frame. Since that frame was made available since I moved the fixie bits to a smaller one, the Centurion was sliced up and transformed into the right rear deck of the cargo bike. A maroon Centurion frame that was from a junk pile - but exactly the same size as the one I used to make the fixie - was made into the the left rear deck. As you know, I didn’t post much over the last couple of weeks because I was doing this. Building the bike became a mission and a symbol to show I was officially ‘settled’ in California. I can find my way to a lot of places without using a GPS, I found a place to get the good kind of peanut butter, I found a place to get my haircut regularly. So it was time to show California that I’m settled in by making a cargo bike as I promised myself. The triple ring in the front came from the one I swapped out of the Bike Friday years ago when I met Stacey and the components were “a piece from here and a piece from there” kind of thing. All of the brake and derailleur cables are new. I thought I’d just weld the Sears & Roebuck folding bike frame shut if it looked like it was going to fail. And when I sat on the bike - All 165 pounds of me - I could feel the hinge move slightly if I put my finger underneath it. It didn't give me a lot of confidence. 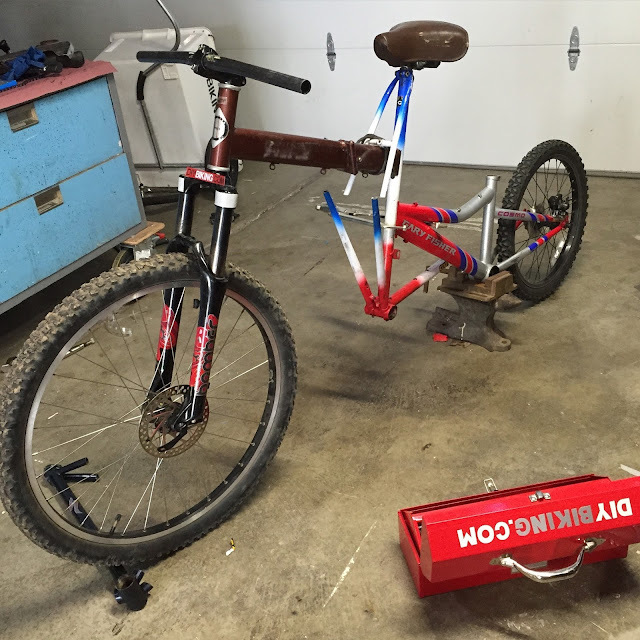 But then I hit on an idea since I really wanted the bike to be able to fold: I still had a couple of frames pieces left (from what little I did bring from Connecticut: Raleigh Sports parts and bits from a crushed Trek I found) that had the same size seat tube. 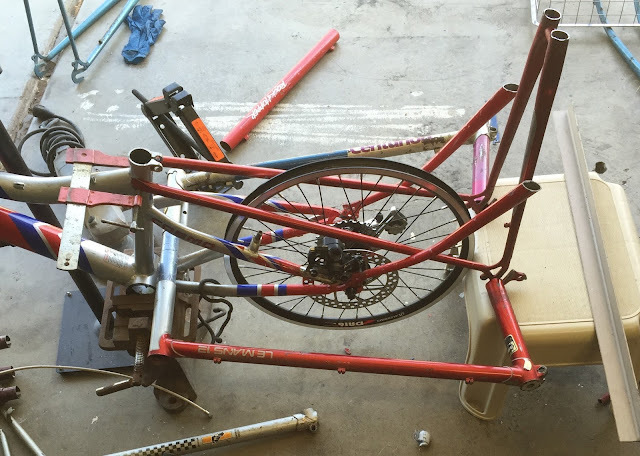 I figured if I put a seat post inside and left enough room so I could move the post in and out I’d have a sturdy frame but could still fold the bike. I did that this past Saturday morning: I carefully measured how long a cross piece I’d need and shaped it accordingly with an angle grinder - this time wearing real gloves. 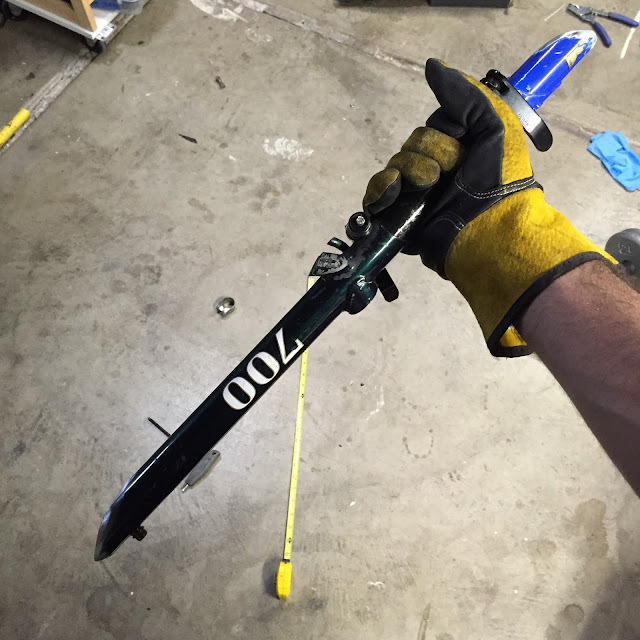 I locked both quick-releases and, as carefully as I could, I welded the improvised downtube into place. The end result looked like this. The following day I took the bike out for a 12 mile ride. 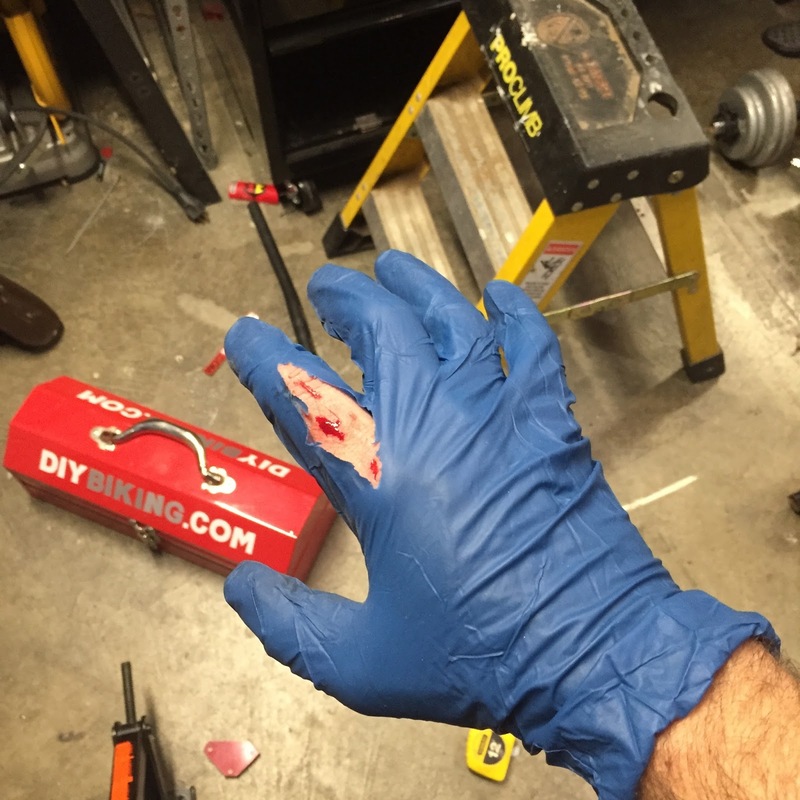 Two days after that, I rode it all the way to Good Karma Bikes - expecting something to go terribly wrong but nothing did. The welds held. Nothing creaked. However, the headset was loose to the point it was making me nervous. So I headed to Mike’s Bikes in Willow Glen and rolled my new creation inside, where one of the mechanics quickly found me a replacement. 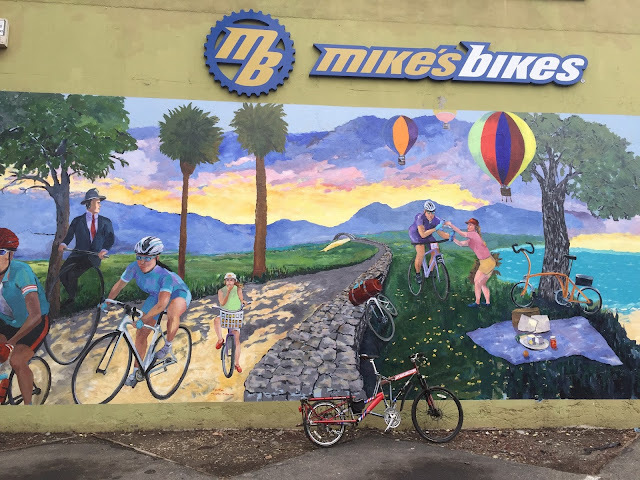 Thanks, Mike’s Bikes. Nice mural, too. Instead of riding all the way home that day I decided to board the VTA. And it was there I finally - finally - felt like I had settled in California. 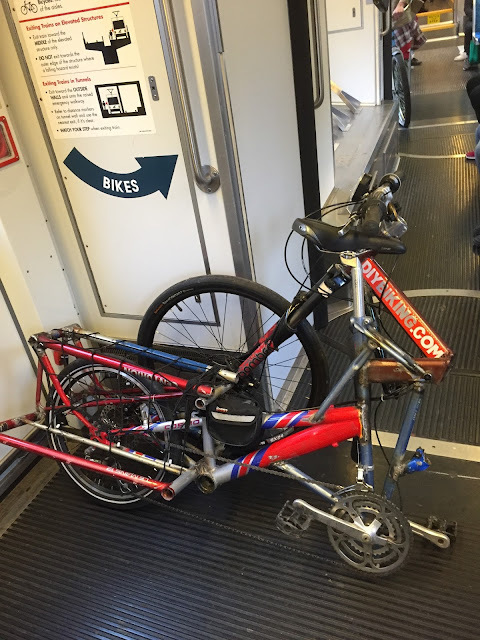 I know the bike has no hope of fitting in the bike racks on the light rail, but when it’s folded it is actually shorter than most bikes and I can stand with it in the vestibule. More importantly: I wasn’t annoying my fellow passengers. In fact, a woman standing with her own bike nearby asked permission if she could take a photo of the bike to show her boyfriend. Be my guest, I said. 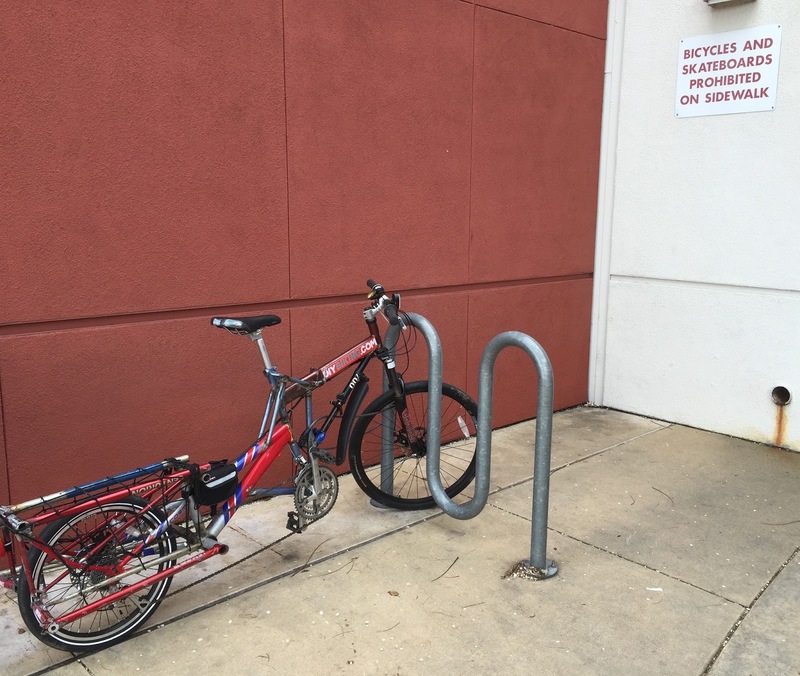 Just try to get the DIYBIKING.COM in the shot. So there you have it. I got the new headset put in, and that leaves me with a cargo bike built from 8 frames (parts components from at least 15 bikes total) that is a little lighter than the Bikeducken, faster thanks to the high PSI rear tire and the front 26” wheel borrowed from my Dahon Matrix, more comfortable thanks to the front fork and portable due to the folding mechanism. It also has an integrated trailer hitch in case I need to tow something. I must say thank you California - and Californians - for helping me get settled in. Look for my yet-unamed cargo bike on the road and share said road with me and every other cyclist who may cross your line of vision. Thanks for reading and thanks for riding. Great post. I like your blog. Keep sharing such a useful post.